We're always going to be real with you. 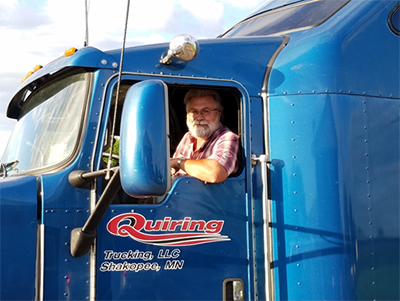 At Q Carriers, we value our drivers and know that in order for you to put your trust in us and inspire your loyalty, we've got to treat you right, put your safety first, ensure you're well-taken care of, and tell it like it is -- and we always will. "I truly found a place I can call home." "I have never been to a company that truly knows me by name. They treat you as a family member and not as an outsider. As we know, family emergencies come up and Q Carriers made it their top priority to get me to my family. They made it feel like I was the most important thing to them. Their Safety Score speak for themselves as to what kind of company they are. The WHOLE Company puts your safety well before any load. I truly found a place I can call home." 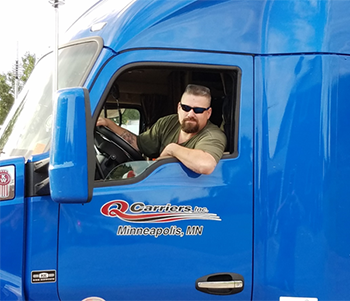 "...They have a way of showing you why you 'want to be safety'..."
"In the 10+ years that I have been with Q Carriers, I can say the personnel has always made me feel they were glad to see me and made me feel welcomed. 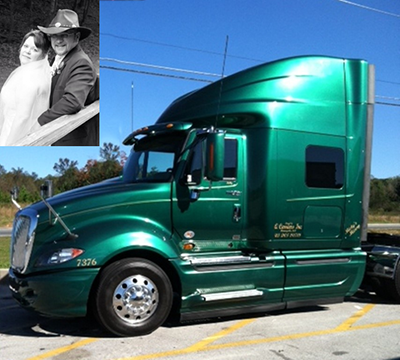 As an Owner Operator there is no force dispatch and I can pretty much do what I need to do while making a good living. Safety is their top priority and they have a way of showing you why you 'want to be safety' instead of making you feel you have to be safe." "...They have "NEVER" lied to me." "As any type of driver in this industry, we always feel that companies will lie to just get us in to the company. Well, I have found through the time I have been with Q Carriers they have "NEVER" lied to me. If fact, they go the extra mile to make sure that if an issue arises that it is addressed right away to make sure things are right. I will say this: If you are looking to be honest to a company and give them your very best, then you cannot go wrong by working here because they will prove to you in return that they will be honest to you and give it their very best to make you a comfortable living." Come drive for Q Carriers and discover for yourself the satisfaction you'll get from driving for a leader in the trucking industry. We have multiple opportunities available that will meet your personal and professional needs, whether you own and operate your equipment, lease a truck from our leasing company or work as a company driver. Regardless, we'll work with you to determine a situation that's the best fit for you.